Have you ever seen a new product on display and thought to yourself: "I thought of that!"? The shock that your idea has been stolen and someone else is making money for it - your idea - it's frustrating and you promise yourself, "Next time, I will bring my idea to life." But at the same time it's hard to go from idea to finished goods. It may surprise you to learn that when Jameco published some of its first home-made electronics projects, they were designed by local high-school students. The projects were so popular with customers; we knew we had a winning concept on our hands. It also showed that almost anyone with a good idea can go on to design electronics projects. A few of the most popular current categories include Arduino, Alternative Energy, Automation, Education, Lighting, and Robotics. Don't worry if your project doesn't fit within one of the categories; the more unique your project is, the more attention it may grab. A few suggestions: Start by determining the difficulty level of the project you plan to design. No matter how experienced you may be, if you are designing for a beginner (likely to be a larger audience), you'll need to make the instructions as simple as possible. Don't expect a beginner to be able to read a circuit schematic or recognize component symbols. You'll also want to come up with an idea that is easy to explain in a sentence or two. It's much more fun to build things you can't easily buy in a store. To give you an idea of what types of kits have been successful with Jameco, some of the top-selling kits have included the following: This color organ kit provides you with all the components and instructions you need to make your own light show that blinks and flashes according to the music being played. Just plug in a 3.5mm audio jack from your music player and the LEDs will flash in 3 different sections (Highs, Mids, and Bass) and in three different colors (yellow, red, and blue). This kit is intended for intermediate and advanced members who can solder and read a circuit schematic, so if you're a beginner, you can work your way up to this one or try the PCB version. 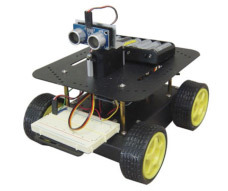 The J-Bot is a customizable robot that makes use of an ultrasonic sensor to avoid objects in its path. Just power it up and the J-Bot can roam all around your house without running into the wall and without any supervision! The best part is that it is completely customizable by simply changing the code to execute your specific commands. 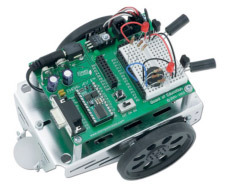 If you ever had an interest in robotics, this is the perfect robot to get started with. This toy organ kit makes use of just a few simple components and builds a box that can make music. The best part is that the music is played by you! There are knobs for adjusting volume and frequency as well as multiple pushbuttons that alter the sound. Any combination of the knobs and buttons will create a unique sound every time. The result is a cool toy organ that can provide hours of fun for both the beginner and the expert electronics hobbyist. 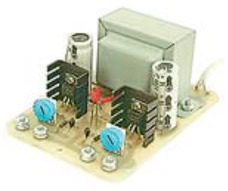 This power supply kit incorporates all the components necessary to build your very own 2-output linear regulated voltage-adjustable power supply. It can provide a voltage range of ±5 to ±15VDC at 175 to 750mA per channel. 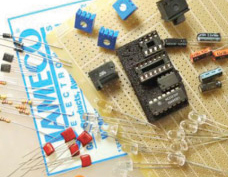 This kit is great for learning electronics circuit and the basics of power electronics. This is intended for intermediate to advanced members due to its use of high input voltages, so be sure you have a good foundation before beginning this project. There are plenty more kits to search through. As you can see, variety is what people want. There is not one specific field that does better than another. You may also like reading anyone can be an electronics designer. Robert is a graduate from Cal Poly, San Luis Obispo in Electrical Engineering. He is originally from Lincoln Heights in Los Angeles, CA. His interests include sports, movies, music, and playing with cool, new gadgets.